18 down, 347 to go. In Seattle. 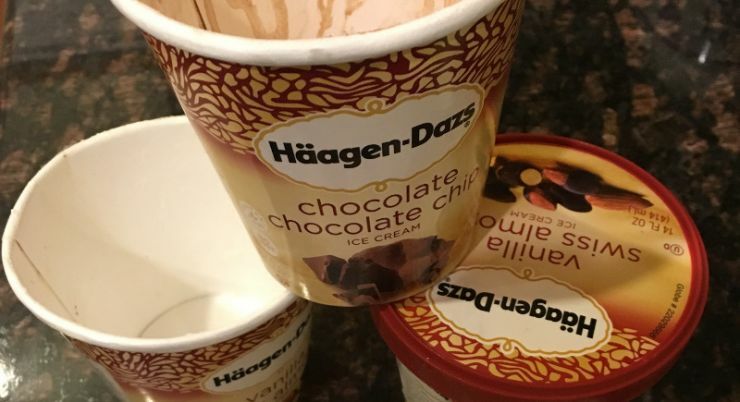 Yes, it's true, yesterday I wrote about exercising every day and today I'm writing about Haagen-Dazs. Hey, the two can go together, right? But don't tell my friend about the Haagen-Dazs part as we made an agreement that neither of us would eat any sugar for the next year. Oh, and I still need to do my excercise tonight with a stomach full of the stuff - but hey, sugar can't stop me! Thanksgiving for me is something literal - I always think of those people (and sometimes things) I'm thankful for. And since I have ice cream on my mind, I want to thank Reuben and Rose Mattus for inventing Haagen-Dazs, especially chocolate chocolate-chip and vanilla swiss almond - they call for me much too longingly when I'm away from them too long. But really, firstly, my thanks goes to my wife, Shannon, who married me 26 years ago today despite her good senses. Somehow I kept her all these years. Very, very fortunate me. Thanks to all those that have helped me launch this wild, impossible mission to help our country: Kate and Scott and Amber and Mike and Bryan and Alexis and Marcel and Carol and the others. Thank you all for supporting and helping in the early stages, when the flame was only a flicker and concrete actions were only dreams. May I live up to your hopes, and the immense need for change. Thanks to all those that have made a donation during these very early, formative stages. Every dollar has helped push us forward, and keep me going. Thank you as well to George, Thomas, John, Benjamin and the others for dreaming, planning, fighting and risking to give us a country worth caring about. And thank you for reading each day regarding our journey thus far. As I tell people, you can always unsubscribe if it gets too bad. But then again, things might get pretty darn interesting too.